According to Hanapin Marketing’s State of PPC Report, pay per click marketing budgets are increasing. Compared to 2016, 79% of marketers say their budgets are higher and will continue to increase. With budgets rising and an overall positive outlook for PPC, now is the time to pitch more prospects. But often pitching isn’t easy. Who are we kidding, it rarely ever is! Especially when you’ve got no idea what prospects are willing to spend. It quickly becomes a game of cat and mouse, often resulting in either under or over pitching to a prospect. For example, pitching full-scale landing page overhauls and a new site structure when a prospect can only afford keyword research and account management is not going to work out for anyone. Trying to sell too much or leaving important aspects untouched can devastate your pitching conversion rate. Here’s how to prevent a potential disaster by accurately estimating a prospect’s budget for easier sales. Getting prospects deep in your funnel is hard enough, let alone coming up with the perfect pitch. 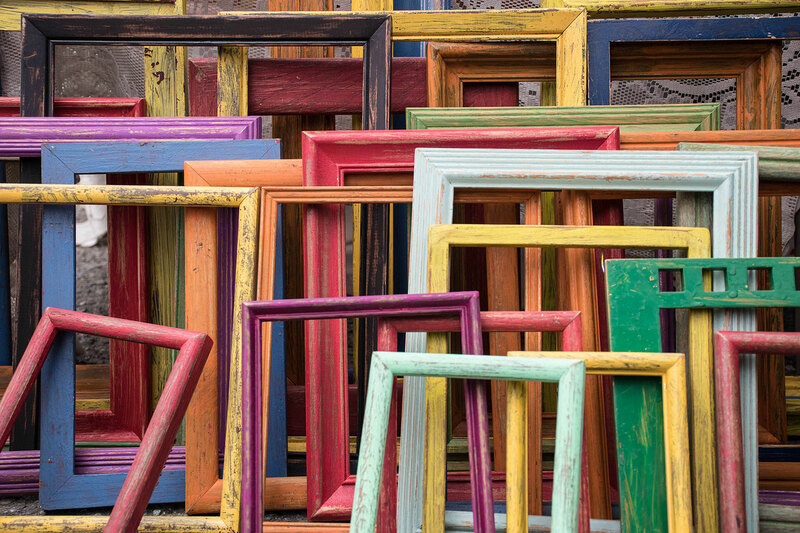 Even when you do, it can be difficult to gauge exactly what a client wants. To start, pitch the basics like keyword research, account management, ongoing ad creation and more. But after those targets are set in stone, pitching the heavier work becomes hit or miss. Can they afford new landing pages for each campaign? How about CRM integrations and dynamic conversion tracking both online and offline? The problem is: if you pitch too hard, you’re likely to scare prospects away with huge price tags. Pitching too few choices can make prospects feel like you aren’t needed in the first place. Worst of all, pitching too many choices can lead to decision fatigue, stopping any and all conversion momentum at the source. Essentially, you need to estimate a prospect’s budget accurately and pitch directly to that budget, or you risk over/underselling and losing the deal. One of the best ways to get the job done is by researching your existing clients. 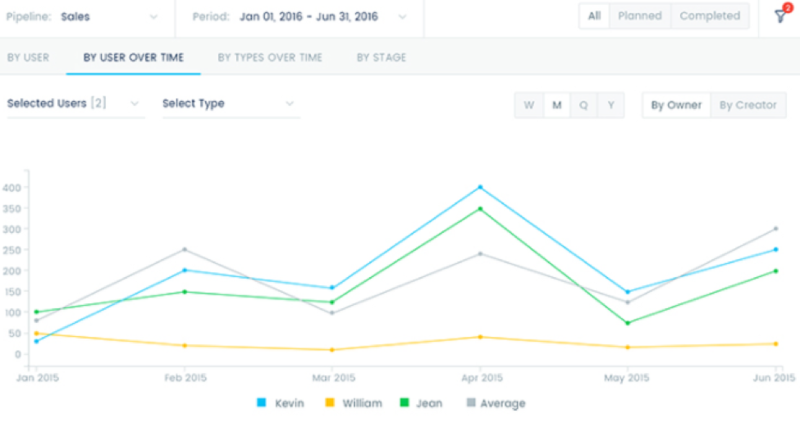 This will allow you to assess the average amount that a client spends with you during the first month. And chances are, if your acquisition strategy hasn’t shifted dramatically, you are likely going to attract clients in that range. All you have to do now is pitch based on that average first-month spending range. 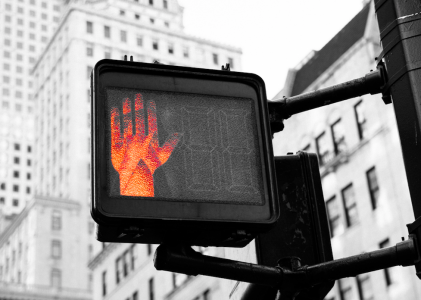 After you’ve done some existing client research, don’t stop there. A simple yet effective way to estimate a prospect’s PPC budget is by deciphering the budget of their other marketing spend. For example, do they use technologies for other marketing processes that you can zero in on like CRMs, keyword tools, social media software or anything else SaaS related? Chances are, they do. 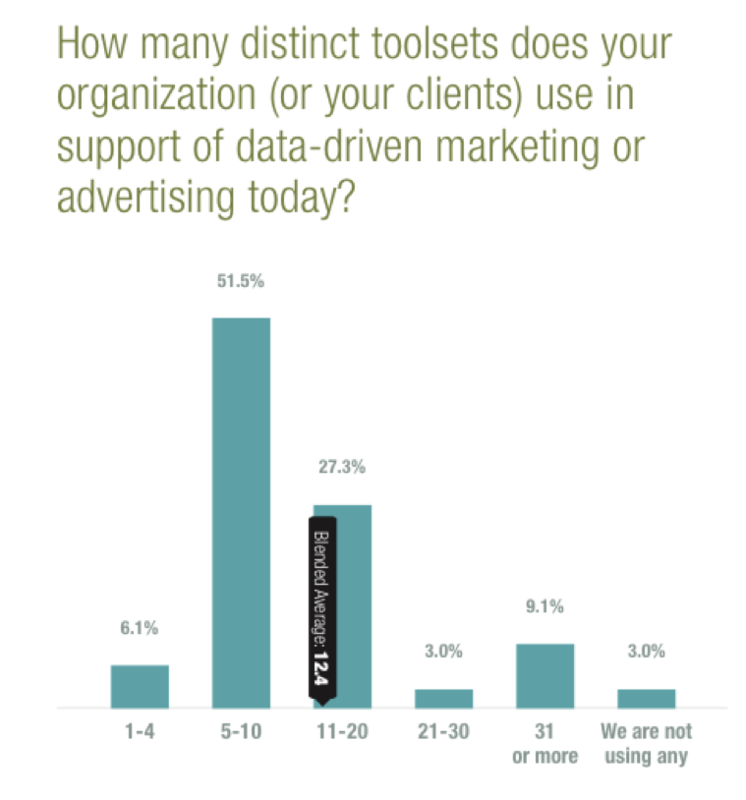 Chances are, the prospect you are targeting is already budgeting for multiple tools and marketing software for their business. So, how do you turn this into an accurate estimate for pitching? Using your current prospect list for upcoming PPC pitches, type each prospect into the tool to analyze their current profile. 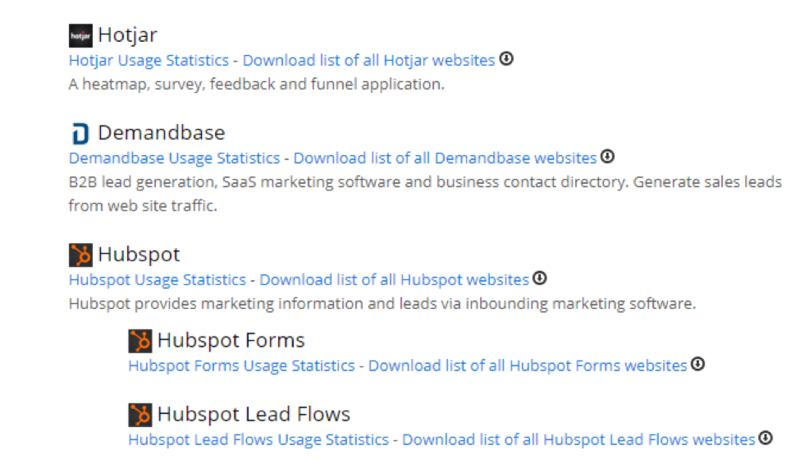 Note down specific tools that they use like HubSpot, Hotjar, and Demandbase. Create a full list of every single tool. Now, simply visit those sites and look at the cost of each plan. 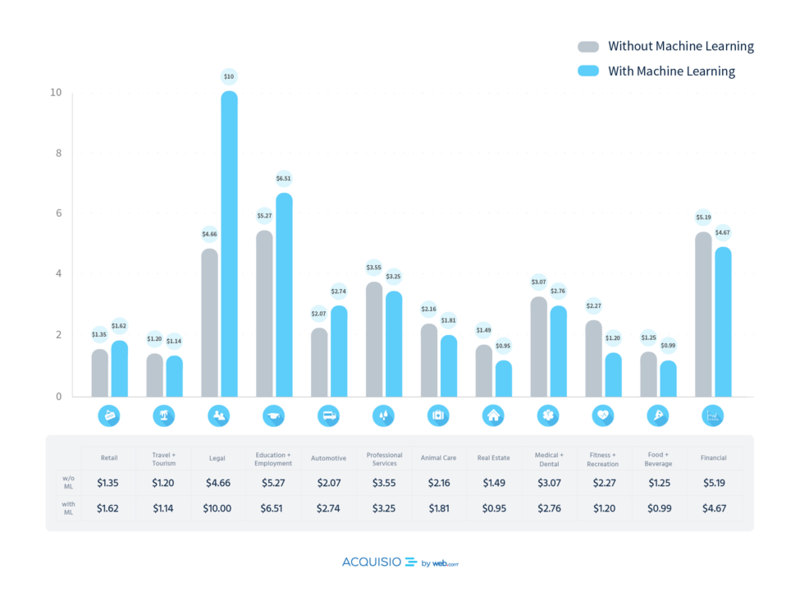 This can give you a monthly idea of what they spend on generalized marketing purchases. SpyFu is one of the best tools for finding information on ad spend for prospects. 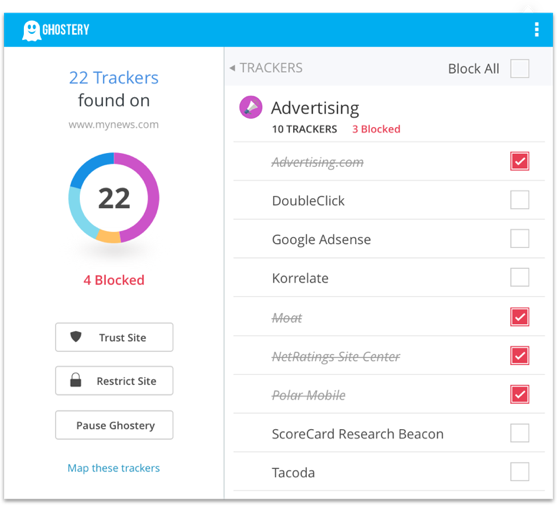 But, its limitations are that it can only track sites with existing spend. So before jumping the gun, be sure to analyze the prospect site in BuiltWith and ensure that they do use AdWords already. One of the great things about pitching PPC services is that it’s so ROI-friendly. Meaning it’s fairly easy to track your return on investment due to the transparent nature of click, acquisition and action costs. Now that you’ve listed CPC, CPA and conversion costs, it’s time to run a basic model. 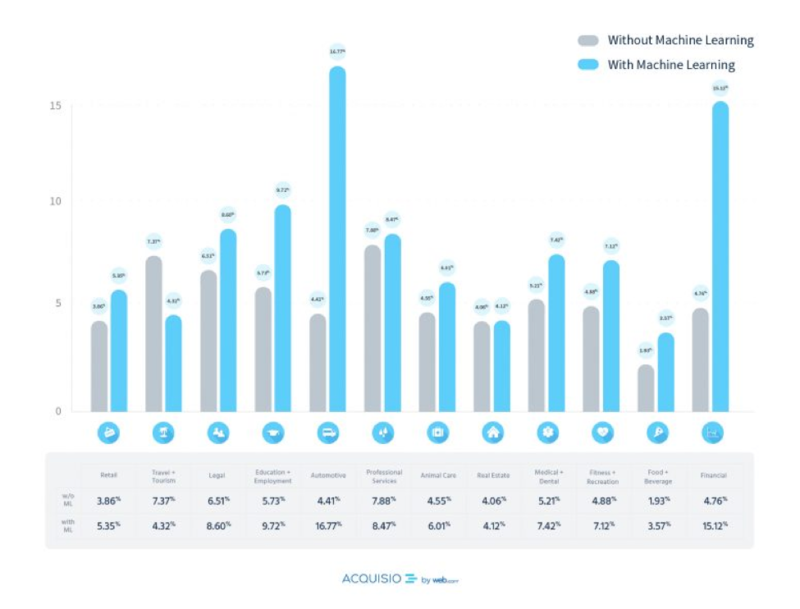 This model will help you decipher how many clicks it will take for a conversion and therefore, the average cost they will pay to land a single sale. You can then take that and magnify it at scale to see how much they can expect to spend based on generalized ad budgets alone. This will give you an idea of how much extra work you can pitch. First, take the conversion rate for the prospect’s industry. For this example, we can use Legal which is about 6.5% (without machine learning). Given that their conversion rate is 6.5%, they will need about 15 clicks to drive a single conversion. At the average CPC for Legal, which is $4.66, they can expect to be paying nearly $70 for a single conversion (on average). Let’s say they want to land five new conversions each month. That’s going to cost them $350 in just ad budget spending alone. Model out a prospect’s potential spend based on their industry to see what normal ad spend will cost based on how many clients they can reasonably expect to acquire. Once that is done, tie the ad spend back to the average first month spend from your existing clients. Using the difference, add more to your pitch! Chances are, your prospect has tried PPC. They’ve likely tried to create an account and spend a few hundred bucks. Most website builders and new site hosting platforms offer tons of free credit for AdWords, so it’s not uncommon. But now they have turned to a service. Why? Because PPC is tough. 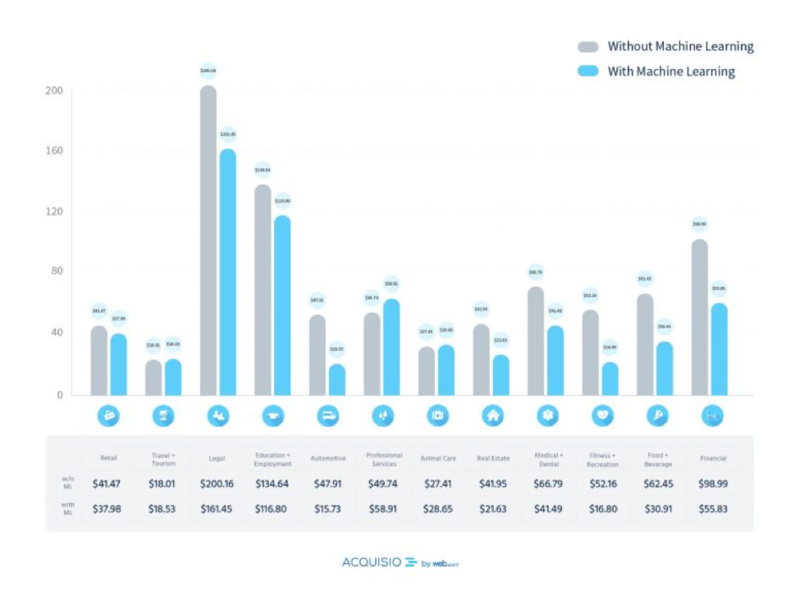 It’s complex, and turning a profit means understanding dozens of different elements from keywords to bidding, optimization to proper conversion tracking. 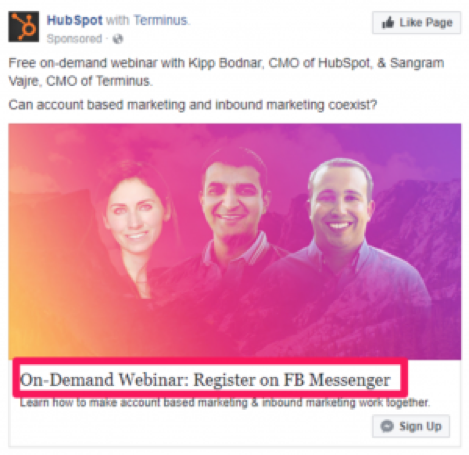 It’s the reason why 62% of small businesses say Facebook ads don’t work. And just about everything else you can think of. Account audits are a way for you to see exactly what they need and what they can afford. Cold email your prospects after building some passive brand awareness ads on Facebook to drive interest and brand-name recognition, then offer them a free account audit to analyze their current setup. When landing on site, you immediately get asked a qualifying question. This helps them weed out potential leads who aren’t going to convert or who don’t fit their typical client guidelines. Using Drift, they turn live-chat into more of a lead gen tool than simply a customer service tool. 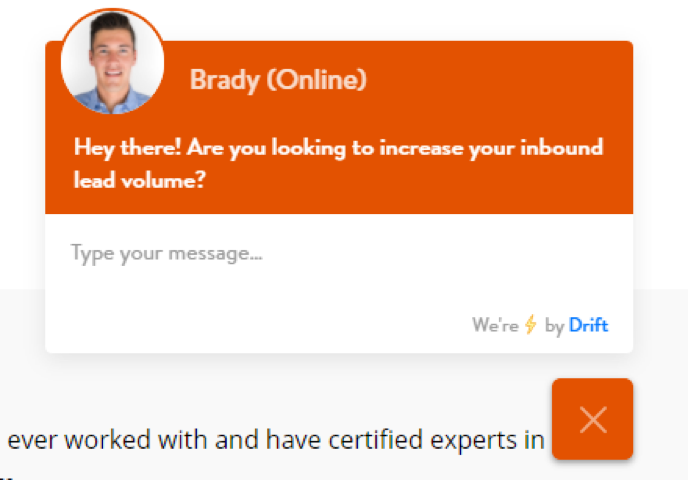 With unlimited customization, you can tailor your welcome messages directly to PPC prospects by asking something like: Hey there! What do you usually spend on PPC each month? Would you be interested in bringing down the cost? This two-part question works to 1) qualify prospects instantly by asking about their spend and 2) start the conversation by touching on a pain point. With this tactic, you can accurately pinpoint what they are willing to spend without lifting a finger, saving you both time and money. 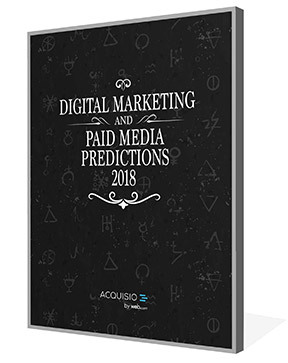 Increasingly, more companies are looking to hire PPC agencies and increase their spend in the coming years. It’s perhaps easier than ever before to find clients to pitch. But that doesn’t mean it’s easy to land them. Instead of pitching blind and hoping for a big win, conduct research first. Start by researching your existing customers in a CRM or any customer management tool you use. See what they spend and look back at historical payments and invoices from their first months. 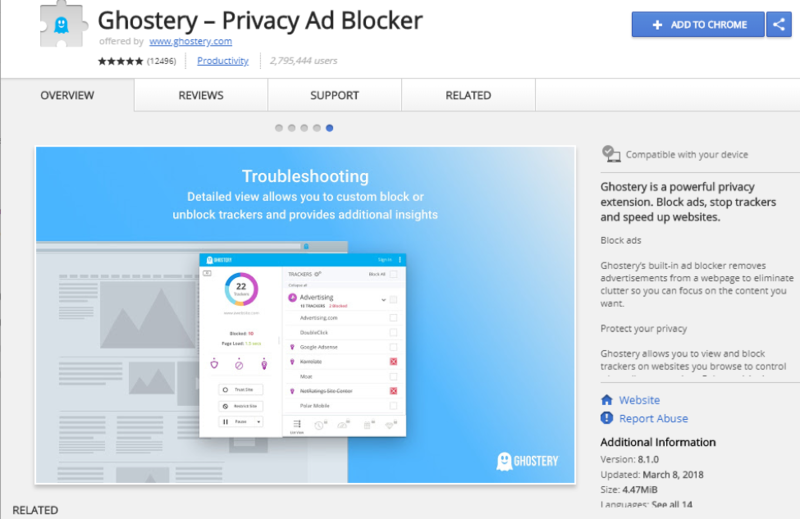 If you have a list of prospects, investigate their site using Ghostery and BuiltWith to see what their current marketing spend looks like. Create models using the average benchmarks for CPC and CPA to see what a prospect can expect to pay in just ads alone. Lastly, sometimes you just have to get your hands dirty. Offer them a free account audit when prospects land on your site using live-chat, or simply shoot them an email. Effortless PPC pitches can only be done when you meet expectations. And the only way to do that is through prospect research!